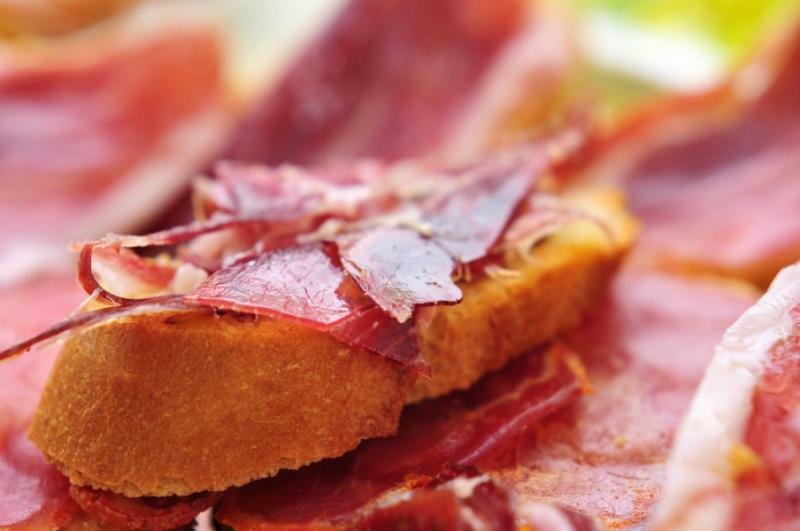 Proudly original and indulgently sensuous, Northeastern Spain crams an incredible amount of diversity into a compact area of old-world destinations. You will discover crumbling castles, medieval bodegas, and coastal grandeur along with cities of cobblestone and charm, and the monastic birthplace of the Spanish language. This private 11-day tour celebrates the best of one of Europe’s most suggestive regions, with the proximity of destinations allowing for a very relaxed 11 days of indulgence. 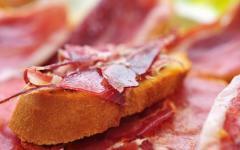 Are you planning your dream vacation to Spain? 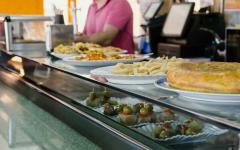 Consider browsing our Spain vacations to add other essential Spain experiences and activities. Learn more by seeing how our partner Spain travel agents can customize your dream itinerary for you. 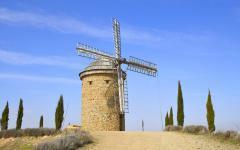 Travel for an hour in northeastern Spain, and the atmosphere changes at short intervals. 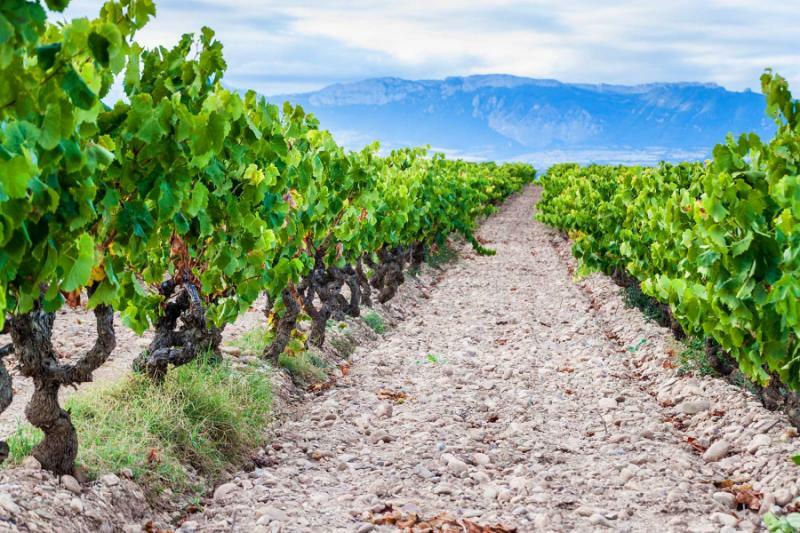 Cross a blanket of low mountains, and proud Basque culture becomes the wonderfully slow rhythm of La Rioja. 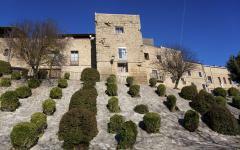 Traverse open plains and the vineyards give way to the castles and cobblestone of the Navarra Kingdom. Follow the road north for another hour, and there is decadence and glamour along the coast, Spanish Basque such a contrast to French Basque. This compact region of Spain is the home of diversity, each neighboring region having its own means of celebrating indulgence. It is an area where you can travel slowly yet feel like you have experienced enough for a whole month’s vacation. It is an area that demands you move slowly because there is so much to uncover when you settle into the atmosphere of the northeastern regions. This 11-day private tour starts and ends in Bilbao, looping around the major and unknown destinations of Spain’s northeast. Bilbao itself is a poignant insight into originality, the capital of Basque blending heritage with post-modern design, without ever losing a sense of specific culture. 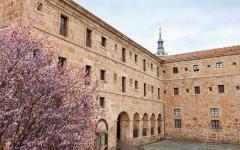 Spend two days in La Rioja, a rural region that is famous for red wine yet also the home of the Spanish language. 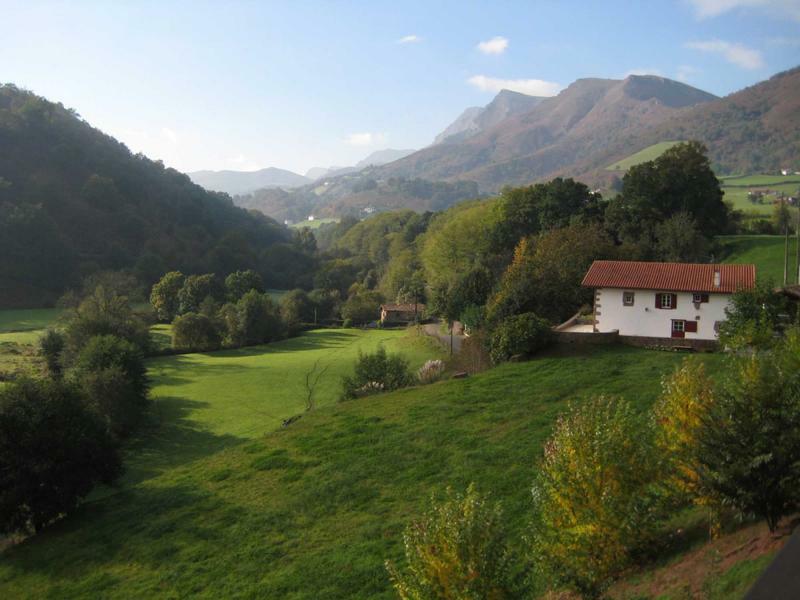 Disappear into its bodegas and tour world-renowned vineyards with the winemakers, then hop across a heritage that is completely different to neighboring Basque. The next day, you reach Pamplona, historic capital city of the Kingdom of Navarra, home of the very famous bull running for one week of the year. You are not here for the Running of the Bulls, but this festivity is an indication of just how unique Pamplona has always been. Spend a day exploring the maze of alleys, then a day amongst the fortifications of the Kingdom, including some tiny villages tucked away from the world. 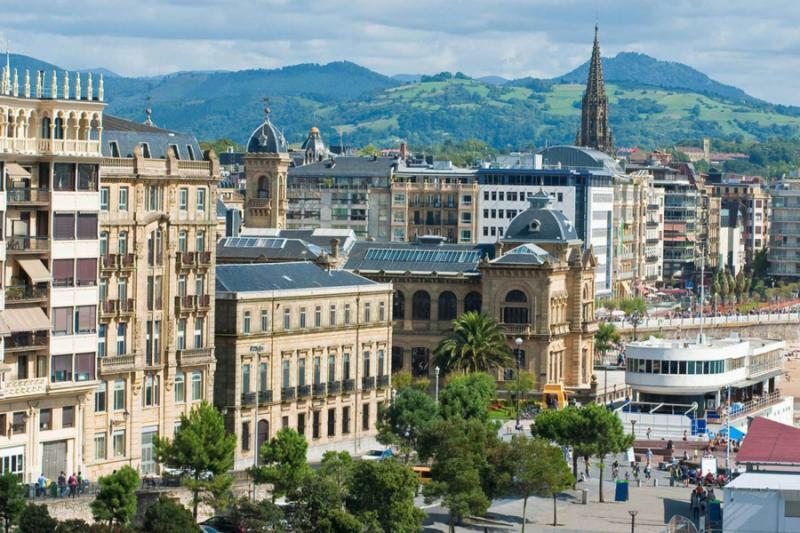 You will return to Basque where the coastline around San Sebastian has its own ambience, Spain’s most glamorous town packed with fine dining restaurants and an air of excess. European dignitaries have been holidaying here since the 19th century and thoughts of indulgence dominate everything that takes place. 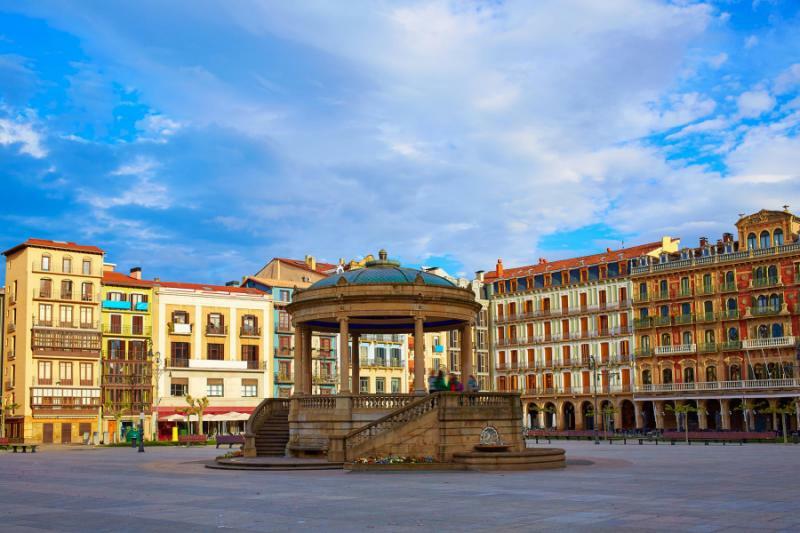 Spend a couple of days relaxing in the town and the beaches, plus a full day hopping into French Basque, where culture and cuisine surprise some more. 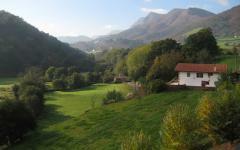 It is then just an hour by road back to Bilbao for your departure flight. Cuisine reveals so much about the culture of a place. Land in Bilbao and the afternoon is at your leisure, a time to relax at your boutique hotel in the old city and to walk the elegant banks of the river. Join your guide in the early evening for a tour through Bilbao’s late 19th-century neighborhoods, where glamorous townhouses overlook a seemingly endless row of pintxo bars. 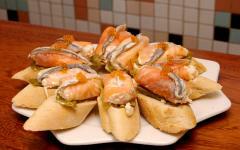 Pintxos are small dishes, piled up on the bar, ready to eat. You just point to what you would like to try. A minor comparison could be made with a revolving sushi bar, where the plates are ready, and you choose what you would like to sample. The big difference, other than the actual food, is that the idea here is that you try multiple bars, rather than a single restaurant. Each bar has its specialty, and the guide knows exactly where to look for what. And the guide can help pick from the menu of wines, distinguishing whether a La Rioja or Ribera del Duero best complements the dish. You will find adventurous choices such as liquidized sea urchin served in its spiky shell, baby octopus lightly fried, roasted peppers stuffed with fresh crab meat, in addition to all manner of cheeses, tortillas, hams, and tomato-based dishes. Each is held together with a stick, and you can find them anywhere between six and 10 in the evening, spread across three to four pintxo bars. 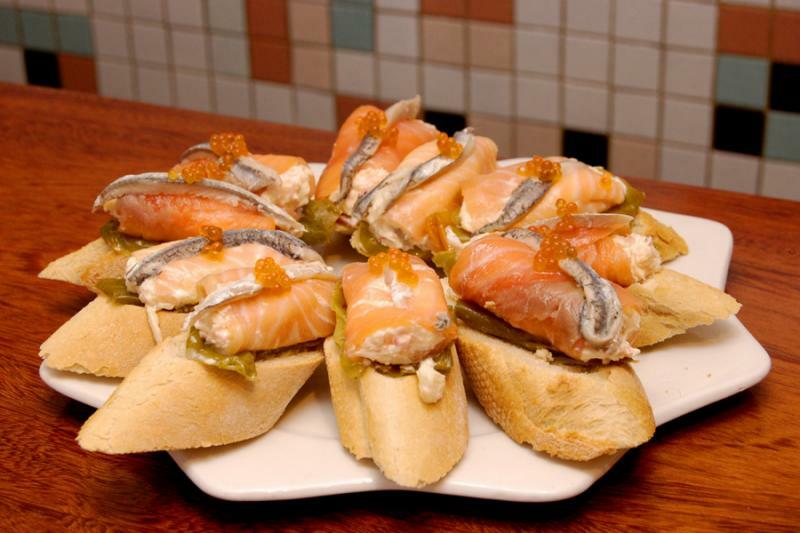 This cuisine symbolizes Basque where choice is revered, and quality is paramount, yet the presentation is informal, reflecting a laid-back style that encourages strangers to become friends. Bilbao has three distinctive styles, each completely different from what you would see outside the Basque region. The old city is classically Spanish in shape, narrow lanes jutting off in random directions, with churches and fountains appearing at random. The colors are localized, and the plazas are deliberately small, a far more understated version of the quintessential Spanish style. South of the riverbank you will find the glory of the late 19th-century, a neoclassical style made unique by the figures and focus revered in its decoration. 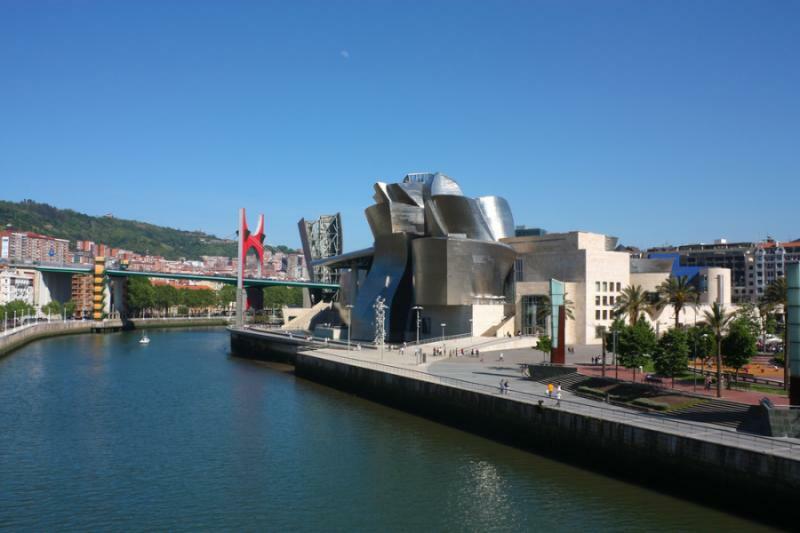 Follow the river to the coast, and the remarkable shapes of Frank Gehry’s Guggenheim showcase the Bilbao of tomorrow. Head inside, and the galleries of post-modern art are a wonderful contrast to your accommodation in the old city. 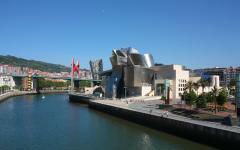 Today’s private tour of Bilbao takes a full day, including a stop at Basque Museum then culminating at the Guggenheim. But as with anything on this vacation, the pace is relaxed, and there is always time to stop for a coffee or snack en route. Lunch is included, with Bilbao’s love for the ocean coming to the fore. The evening is at your leisure. 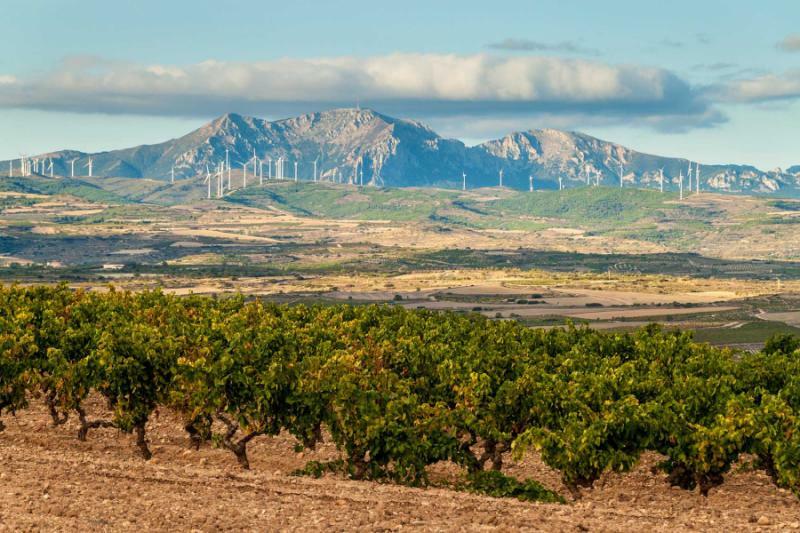 La Rioja lies less than an hour south of Bilbao, the road ascending past stone villages that stand proudly above valleys of vineyards. There is an immediate change in atmosphere. 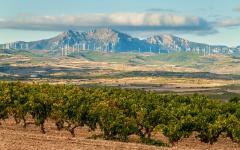 At any village and in any town, you can feel that La Rioja is the most tranquil of all the Spanish regions. That should not be a surprise given the quality and abundance of the wine. Stop in Haro, where you visit two of the biggest producers, including one world-famous name that makes so much wine; they have four staff dedicated to making oak barrels. Their classic Riojan wine spends 12 – 24 months in French oak, both large barrels, and smaller barrels, for the winery’s grand reserva. At the first winery, you explore the basics of tradition, how each winery produces a series of wines based on the same grapes, predominantly Tempranillo with a hint of Grenache. The variation is based on the quality of the plot and individual grapes. A Crianza is an entry-level single-vineyard wine, while a reserva and grand reserva are afforded greater attention to detail. The result is both a plethora of easy-drinking good wine for everyday occasions, and a sophisticated selection of world-leading bottles for the connoisseurs. At the second winery, you are guided by the winemaker, a more detailed insight into how grapes and production techniques are chosen for the differing styles. Lunch is included and complements a glass of grand reserva from the winery’s back vintages. 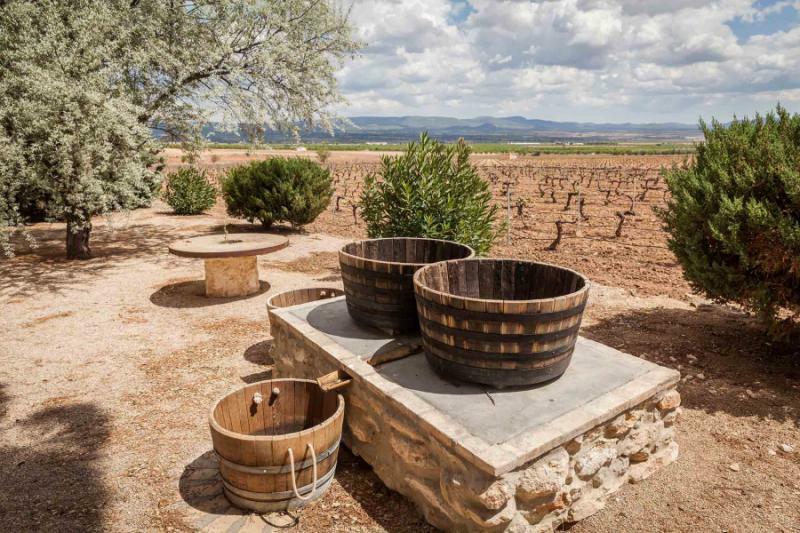 Continue in the afternoon to Laguardia, the charming heartbeat of La Rioja, where every house stands on top of a large wine cellar, and some cellars on top of other cellars. 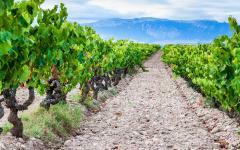 La Rioja’s fame comes from wine. This region is also where Spanish was founded. 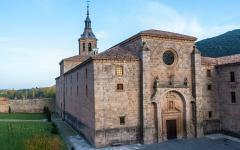 Head to San Millan de Cogollo, then onward to Logrono and the 11th-century Monastery of Suso. 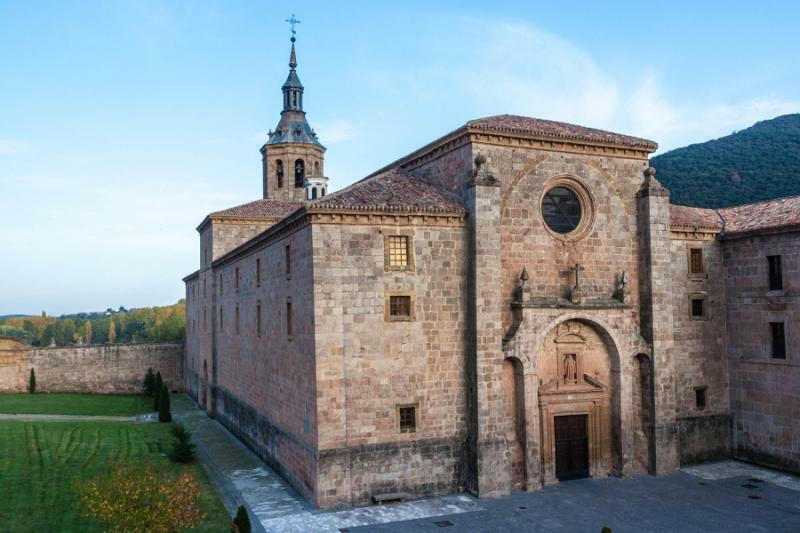 This is where the Spanish language originates, pioneered amidst the rustic rooms of the old monastery and home of Saint Emilian. 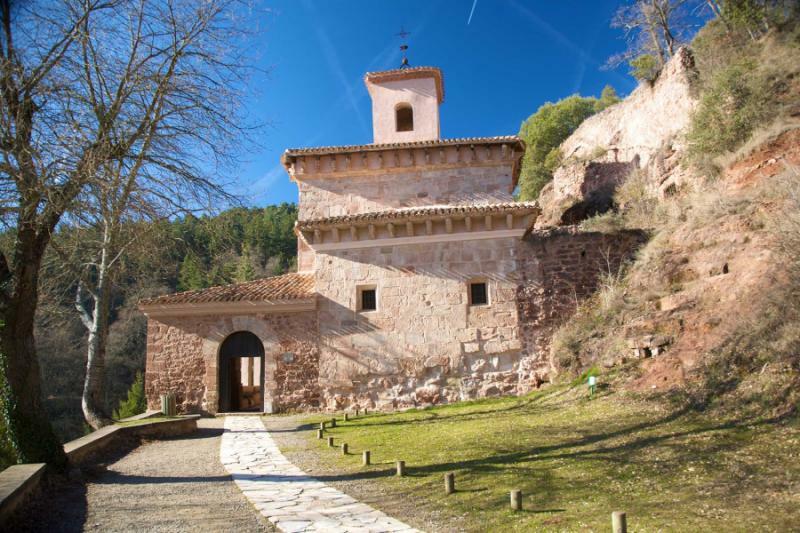 Continue to the famous Barrio Laurel for a rich tapas lunch, then descend to the Monastery of Yuso, another mostly unknown piece of Spain’s early history. In the evening, you are guided around La Guardia, dipping into some of the 300 bodegas and wine cellars hidden beneath the old city. La Guardia is completely pedestrianized, primarily because the architecture is too precarious for traffic. 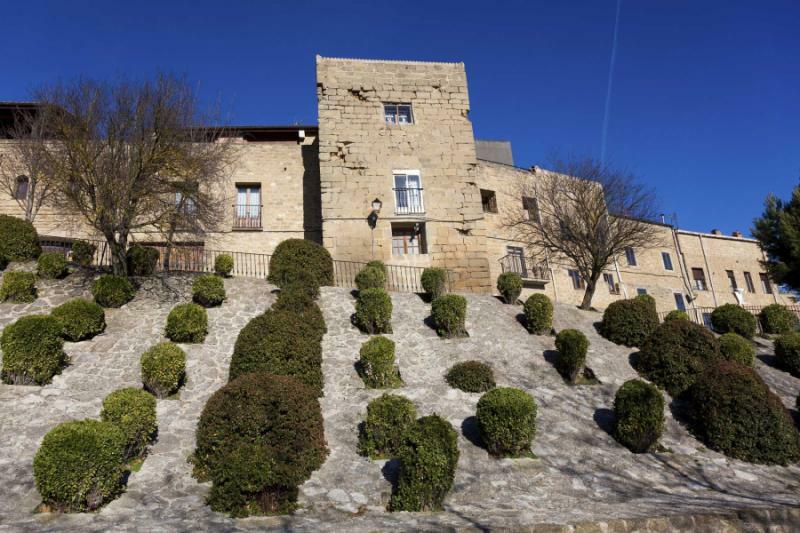 You will descend many floors to the great cellars where La Rioja wine originally filled great barrels, then ascend one or two floors to wine tasting experiences with the cellar owner. 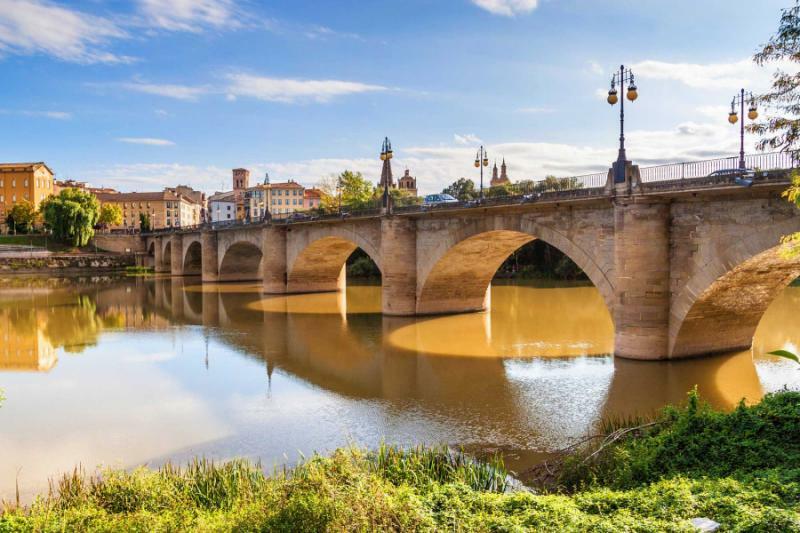 Enjoy a relaxed day today and a chance to lounge on the terraces of La Rioja, then wander at leisure through the region’s capital city, Logrono. Church bells echo across cobblestone lanes, a hundred wine bars dot the streets, and the city plazas are perfect for a languid day. 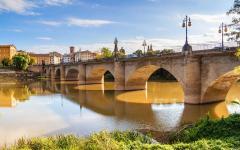 It is only a 30-minute transfer to Logrono, followed by a one-hour orientation tour of the city. Your hotel is located in the pedestrianized center, and the day is at your leisure, ensuring you are fully attuned to the laid-back rhythm of the region. 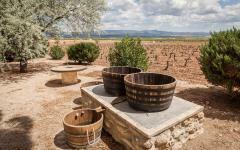 Optional activities such as horseback riding in the vineyards and hot air ballooning above Rioja are a possibility today. Out of the vineyards and across the plateau, you journey an hour eastward to Pamplona, the venerable capital of the Kingdom of Navarra. Most famously, Pamplona is home to the Running of the Bulls, a festivity that sees locals, and more recently tourists, attempt to successfully outrun a rampaging herd of bulls. You are not visiting during this festival, but it is a good insight into the inimitability of Pamplona. Spend the day exploring this rich old city, with its castle turrets, revered cathedrals, grand lanes of 16th-century architecture, and crumbling city facades. You will enjoy closed-door access to the bull ring, the city’s dusty and dramatic centerpiece, along with a unique behind-closed-doors look into one of the world’s largest medieval fortifications. As with most days, expect a lunchtime that reflects the prevailing atmosphere and a relaxed evening amongst vibrant city streets. 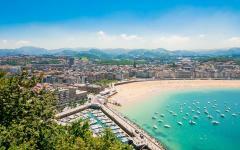 San Sebastian is the grand dame of Spain. Back in the 19th century, this was the city where European royals and dignitaries hung out, lured by the golden beaches, sublime restaurants, and grandiose townhouses. It is the country’s most elegant city, every building seemingly a showcase of wealth and art. 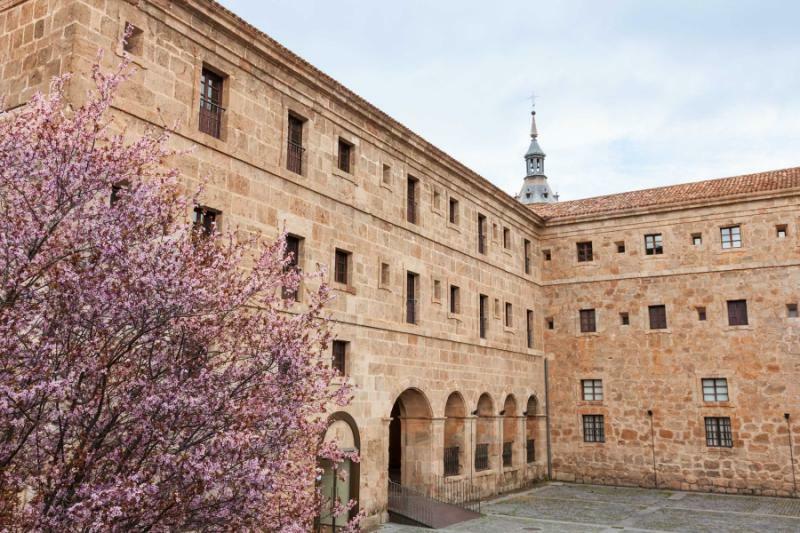 Driving here takes less than one hour from Pamplona and the day is spent exploring, a privately-guided tour that starts at the striking central plaza. You will visit private art galleries, explore museums that stitch together culture and history, then follow the promenade to the dramatic monasteries and religious icons atop coastal cliffs. It appears that nothing is ever out of place here, from the polished marble floors to the redolent colors of the old stone churches. Today’s lunch is a light one, preparing you for a 23-course Basque dinner at one of San Sebastian’s entries in the World Top 50 Restaurants. 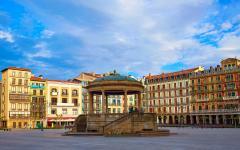 Spending a day in neighboring France gives a more comprehensive insight into Basque culture and cuisine. Through the comparisons and contrasts, you see what is part of the national identity, and what is unanimous across the independent region of Basque. With a private guide, you follow the coastline north, first to the quintessential streets and colors of Saint-Jean-de-Luz, then the French fishing village of Guethary. Biarritz blossomed in the 19th century, a holiday destination for Napoleon and his generals. The palace and former residence of Napoleon III’s wife is just one of the emblematic sights here. 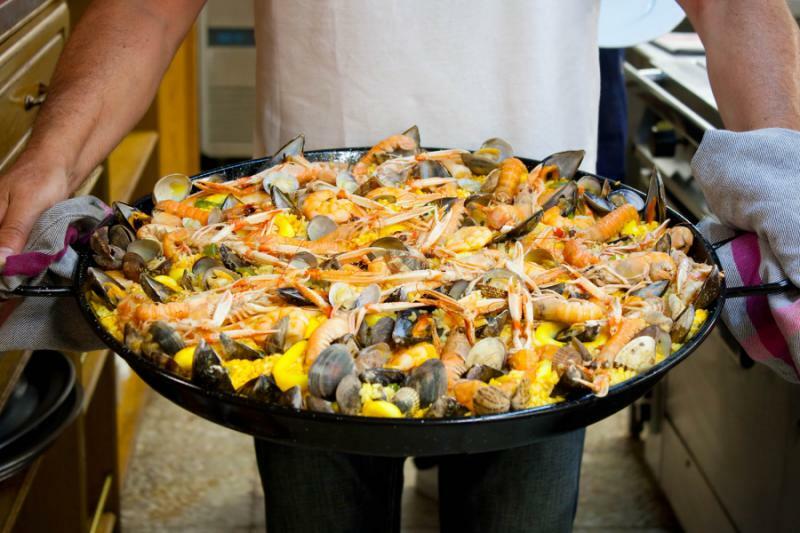 Visiting French Basque also means contrasting cuisine, and you will enjoy a leisurely lunch at a seaside village restaurant that has been impressive royalty for over a century. 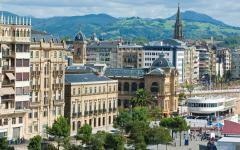 Back in San Sebastian, there are a handful of wonderful plazas for relaxing in the evening. 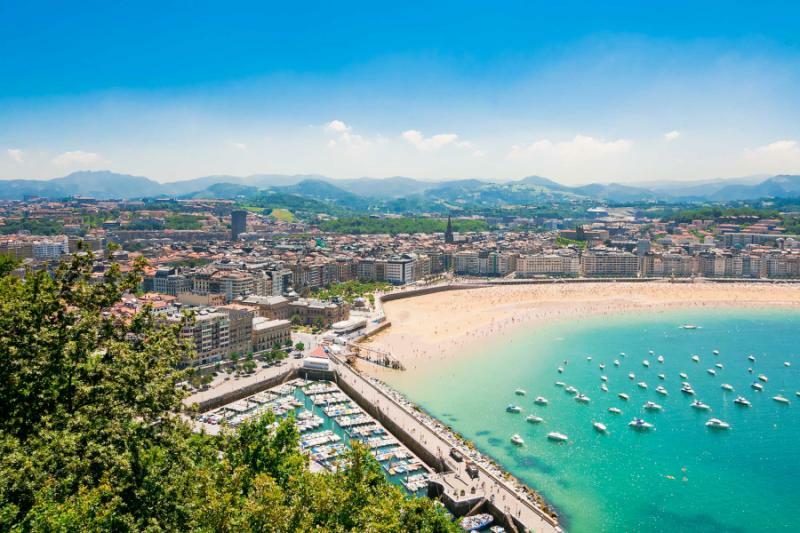 San Sebastian is an idyllic place to finish any European vacation. There is the town, so postcard-perfect and enchanting, full of vintage stores and cafe terraces. Then there is the promenade, which rises onto rugged cliffs for pristine displays of nature. Finally, there are the beaches, two elegantly curved stretches of sand backdropped by decadent cafes. Today is deliberately left free, and there is a lot you can explore within walking distance. 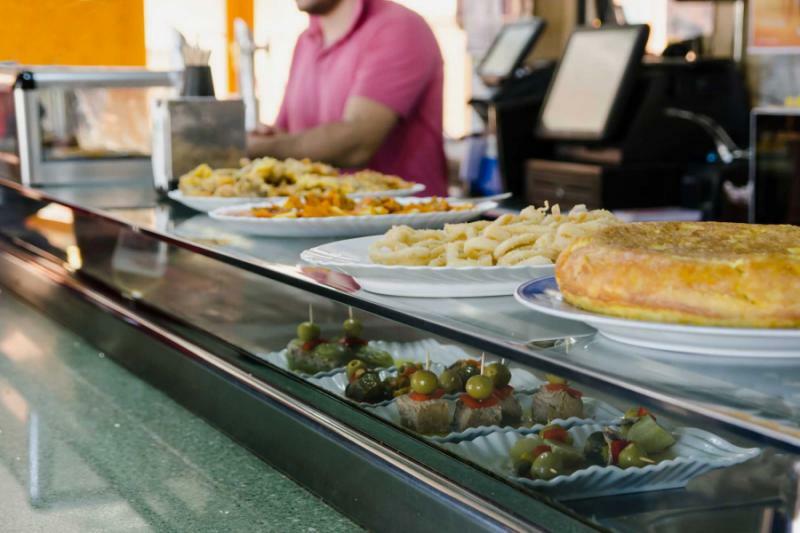 In the evening you have reservations at a Michelin-starred restaurant, a final indulgent highlight on this journey through northeastern Spain. A modern toll road now links San Sebastian to Bilbao, drastically cutting down the driving town between the two coastal cities. After a relaxed morning, you are transferred to Bilbao, a one-hour journey to the airport, where this private tour of the north ends. "The tours were very well done... I guess we enjoyed it all!" 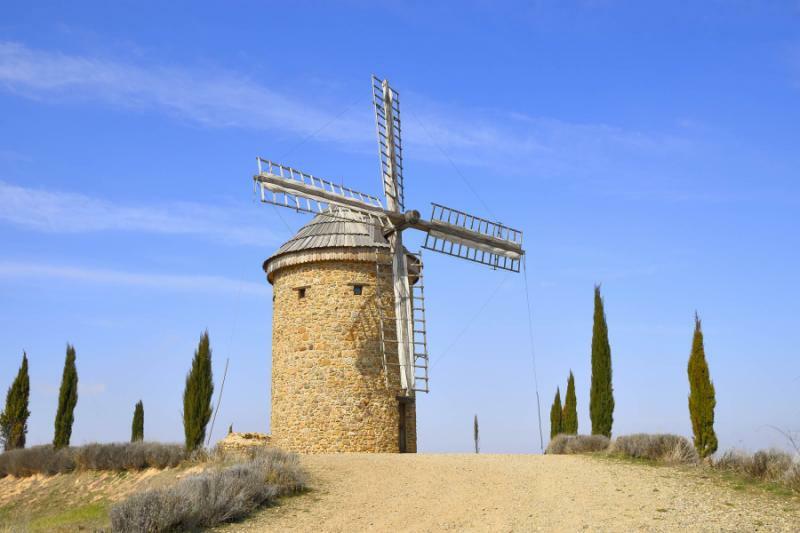 "The trip was very well organized by Pierre and Carolyn of this Spain travel company..."